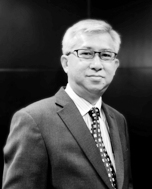 Sam Chia is an Executive Coach with Executive Development Associates in Singapore and has over 25 years’ experience as an international business leader, coach, organizational consultant, trainer and facilitator. In his work, Sam applies insights using assessment technology, positive psychology, action learning, coaching and blended learning to help leaders expand their personal performance and organizational capabilities. Sam advocates leadership development through coaching. He has coached senior leaders and executive teams from both private and non-profit organizations. He brings his practical business experience, advanced education and broad cultural perspective to the coaching and consulting, along with an approachable, warm and passion to inspire as a leader. His ability to relate to different cultures and management levels adds enormous fun and relevance to the development experience. Coached the General Manager of a large German multinational company, successfully help him to transit and assimilate to the group culture after acquisition. Coached a Director of a large international bank on challenges on authoritative approach and anger management, leading him to transform to be more empathy and collaborative and better control of his temper. Coached a leadership team on change management, and helping the team to improve interaction and communication upon changes of its CEO. Executive Coaching for the CFO of a major regional industrial giant. He clarified his personal leadership vision and the company vision and mission (collective process), enhanced his leadership impact and his work-life balance. A Step Up or a Push Out? The CFO’s Choice. Leadership 4.0: Are you Ready to be a Digital Leader?